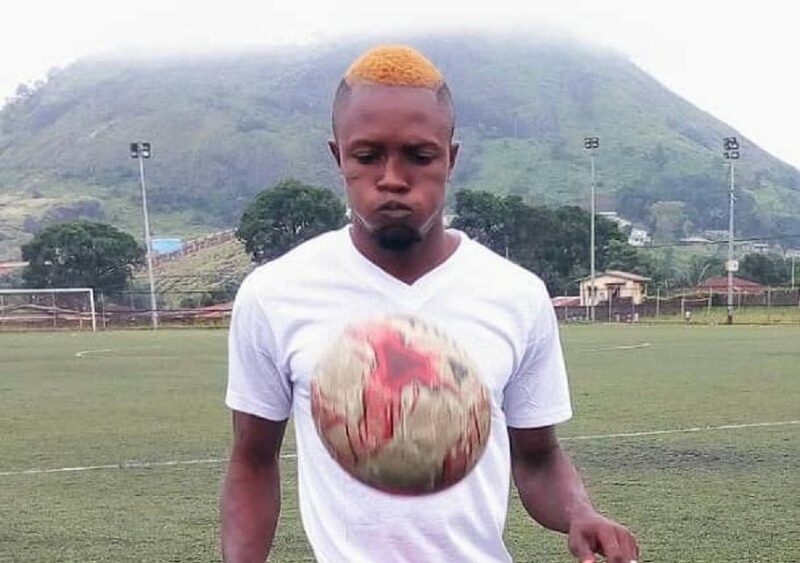 One of Sierra Leone’s most decorated club East End Lions could break a new transfer record if they must stand a chance of getting Suffian Kalokoh. Football Sierra Leone understands that the player who is presently one of the exciting stars in the ongoing domestic league with Old Edwardians is not for sale. The New sensation has been pivotal this season scoring six goals from ten matches for the May Park Boys. The AIK Freetong on-loan player could be the highest transfer in Sierra Leone domestic league history as ‘The Killers’ Lions and Bo Rangers vying for his signature. An Inside source has told this medium that the team manager Alfred Badara Turay of Lions has instructed the club Sec-Gen to write an official letter to ask about Suffian situation to his parent club AIK Freetong. Our source closed to the player local agent, Chernor Musa maintained that Suffian is not looking forward to changing club in the middle of the season but, focus to learn his trade to improve his game. Local agent Musa over the years is known to have represented Sierra Leone top exports to Europe and, such a player will not be traded locally by him. Most recently it’s believed that Nathaniel Andersson Thonguvulla moved to Bo Rangers for around 50 million Leones. FC Kallon is rumoured to have rejected 50 million Leones from East End Lions for winger Mohamed Alimamy Bundu brother of Danish-based attacker Mustapha Bundu of AGF in Denmark. In 2012, 28 million Leones was paid for the transfer of Kemson Fofanah to Diamond Stars from Freetown City FC. The same year Diamond Stars won the league after spending a fortune. CONNECT WITH US on Twitter @football_sierra, on Facebook/Instagram Football Sierra Leone, the writer @bittar32 Contact: bittar@footballsierraleone.net.